Sterling silver with brooch closure. 2.25" x 3.25". 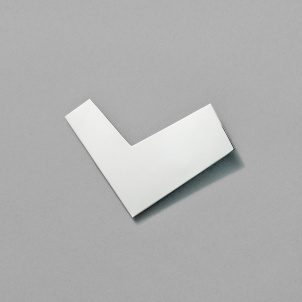 On the occasion of the Whitney Museum of American Art's exhibition Carmen Herrera: Lines of Sight, internationally renowned jewelry designer Chus Burés created a collection of pieces exclusively for the Whitney Shop. 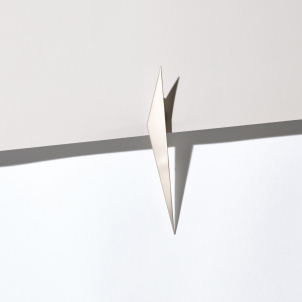 Inspired by Herrera's body of work, Burés's sterling silver pieces make use of physical structure and its surrounding environment to commemorate Herrera's work and artistic practice. 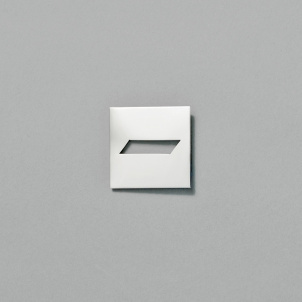 This distinctive brooch adds a minimalist flair to any outfit.